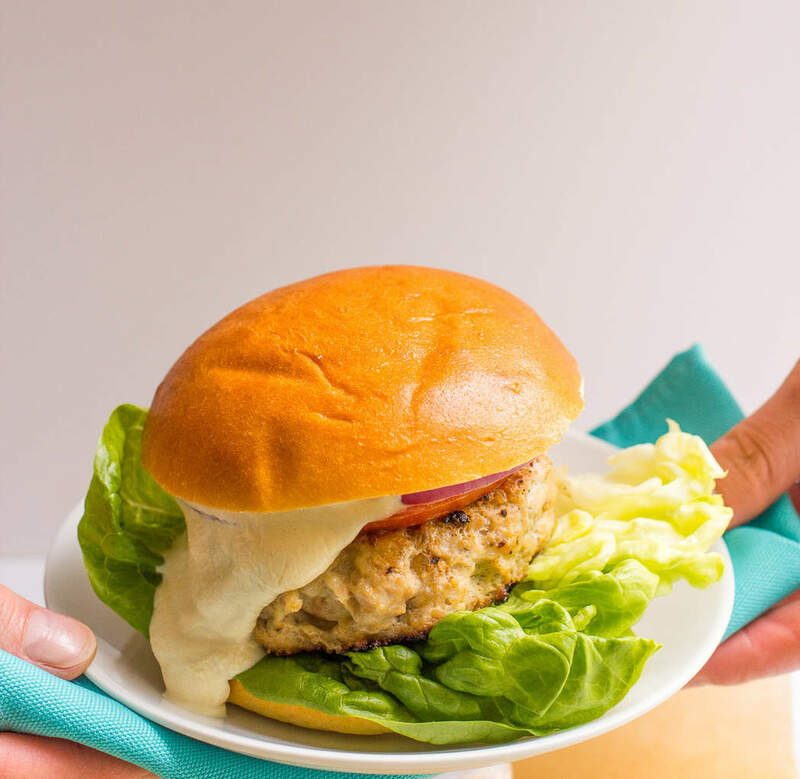 These 5-ingredient cheddar chicken burgers are BIG on flavor and take just 20 minutes – perfect for a quick weeknight dinner! So, Memorial Day and summertime are upon us – I’m not sure how that happened, but I’m excited all the same! — and I’m ready for all the grilling things and BBQs and picnics and eating outside. Problem is, I don’t really do regular beef burgers. Not a fan. Haven’t had one in probably 15 years or more and don’t miss it one bit. 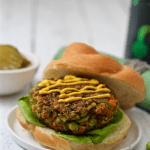 Veggie burgers? Count me in every time! 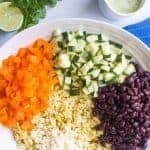 Black bean burgers? I’m sold (sorry for the pictures though. Need to remake those!) 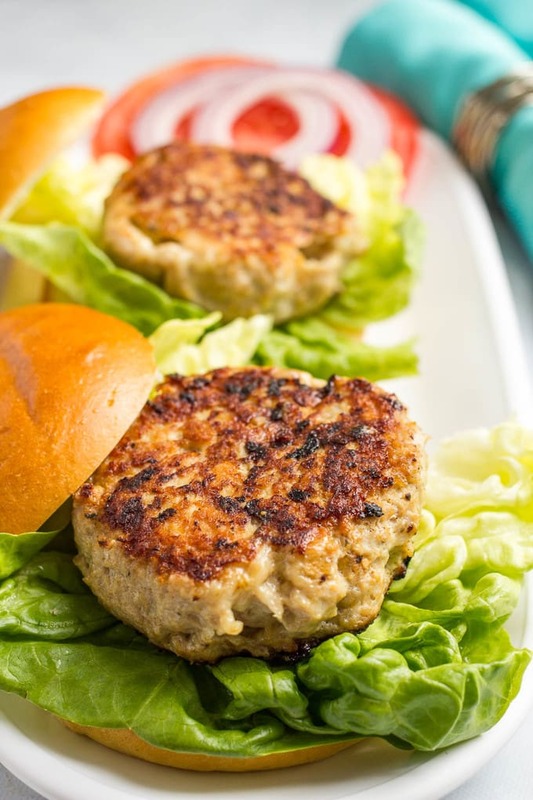 Chicken or turkey burgers? Yes please! 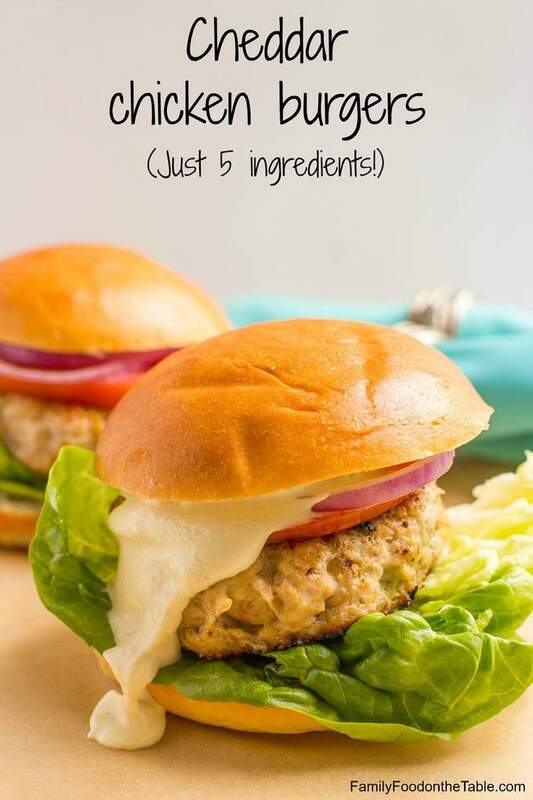 And these cheddar chicken burgers are one of my favorites! They are lighter than a regular burger but have ALL the flavors and tons of meaty juicy bite to them. You seriously will not miss the beef. 5 ingredients. No filler. Each ingredient is maxed out on flavor so they are all pulling their weight, but it makes these so easy to throw together. If you’re lucky, some cheese will ooze out while you’re cooking them. It will fry right there in the pan and be a crispy, crunchy, fried cheese glory for you to nibble while you plate the burgers. They’re on the salty side. For me, this is a glorious thing. And let’s be clear, there’s no salt added. But if “salt” is one of the first ingredients in your grill seasoning, well, then, these are gonna be a bit salty. I do use low-sodium Worcestershire sauce and recommend you do too, to cut down on the sodium a little. They’ve got a slight garlic edge to them. Not overpowering, just a good balance in the background and a perfect partner for the cheese and chicken. If you’re really shy on garlic, use just one clove here. I served my burgers here with lettuce, tomato, red onion and an easy creamy yogurt sauce: just Greek yogurt, Dijon mustard and a bit of hot sauce. You can use any of your favorite burger toppings. If you’re looking to lighten this baby up, you can eat it over a salad. That’s usually how I have it at lunchtime. I just plop the burger on some chopped lettuce mixed with tomatoes and drizzle a little mustard vinaigrette over top. Divine! Or eat it in a lettuce wrap – also a good option. 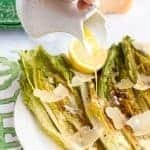 And since I’ve been in a summer food kind of mood, I have to say this would go great with my recent seared romaine salad and also with the potato salad I’m bringing you on Wednesday (along with a huge list of Memorial Day recipes from some of my blogging buddies). Don’t miss it! Sign up for my free e-newsletter (I’ll send you a free e-cookbook with 10 easy weeknight dinners). And follow me on Facebook, Instagram, Pinterest and Twitter for more recipe goodness! 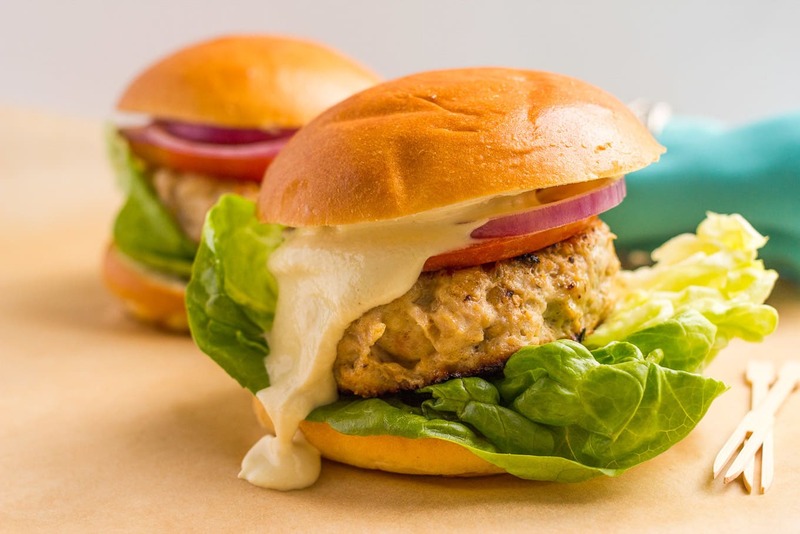 Just 5 ingredients and 20 minutes for these flavorful cheddar chicken burgers! For serving: Burger buns and your favorites: lettuce, tomato, red onion slices, ketchup, mustard, pickles, jalapeños, bacon, avocado, etc. 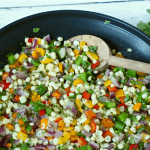 Combine all ingredients (except olive oil) in a bowl and mix until combined. Don’t overmix. Remove patties to a plate and let rest for 5 minutes before serving. Serve in a bun with desired burger toppings. The burgers here are topped with an easy mustard-yogurt mixture. 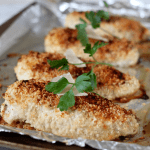 It's about 2 tablespoons plain Greek yogurt and 1-2 teaspoons Dijon mustard mixed together. I like adding a few dashes of hot sauce, too! Oh my gosh, all that melty cheese! I’m usually a hamburger girl, but now I absolutely HAVE to try a chicken burger! Haha, that’s actually just the yogurt sauce! The cheese for these burgers is all inside the burger 🙂 But yes – they are worth breaking from hamburgers for! Thanks Vivian! I love chicken burgers too! I love all types of burgers-chicken, turkey, beef, veggie. I’m always up for having one 🙂 That gooey, melty cheese on your burger totally got me, Kathryn! Looks absolutely delicious! Oh my gawsh, do I feel you!! I LOVE burgers, but for some reason I rarely have a beef burger. I am allllll about the veggie, turkey or chicken burgers though.. or even seafood burgers. So I am tooooe-ts loving these, Kathryn! They look perfect and I love that they are only 5 ingredients!! I have already been firing up the grill every weekend so I can’t wait to add these juicy beauties to the rotation! Cheers, friend! Oh I’m with you – I’d order a chicken burger over a beef burger too. Love your yoghurt sauce too – always need a little spice on my burgers. I’m so glad you get me 😉 Hope you have a great week Nancy! These look AMAZING Kathryn! Will admit I`m a beef burger kind of guy but these just look too good! And… my daughters are going to love you for these! Thanks for the great recipe! This looks unbelievable tasty! I am loving that gooey, drippy cheese, and the fact that there are only 5 main ingredients. YUM! Thanks Sarah 🙂 That’s actually a little yogurt sauce I mixed up to top the burgers with – all the gooey cheese is on the inside of the burgers – fun little cubes waiting to be bitten into! These will go on my list! They look and sound incredible! 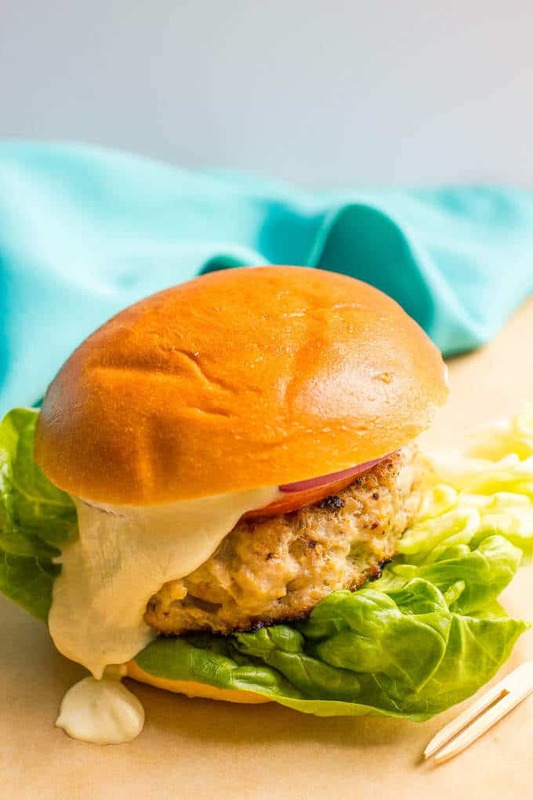 I love that you put a little cheese in there – I’ve had a hard time in the past with a lot of chicken or turkey burgers – by the time you get them up to temp they can be a little dry ad that cheese (besides being delish) would keep them moist! Yes, the cheese definitely helps keep them moist and super flavorful! Hope you give them a try, Mollie! Oooh, yum! My husband is a beefy burger man, but I could probably talk him into at least trying these. They look amazing! Thanks for sharing at Throwback Thursday! Thanks Carlee! My husband is the same way, but he loved these cheesy chicken burgers! 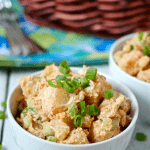 I do not usually comment on recipes but, wow, these are marvelous! All four kids plus a picky husband loved these tonight. The only change I will make next time is doubing the recipe so we can have leftovers. Thank you for this recipe!